The name of the organization shall be the Maine Federation of Farmers’ Markets (herein referred to as “MFFM”). 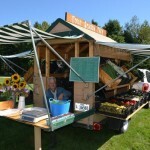 The mission of the MFFM is to cultivate a vibrant, sustainable farmers’ market community as a vital part of Maine’s local food network.The Federation works with farmers, consumers, and communities to make wholesome, locally-grown foods available to all residents, to educate consumers about food resources, and to support farm viability. Section 2.02. Intent. It is the intent of the corporation to qualify as a non-profit, tax-exempt entity pursuant to Section 501(c)(3) of the Internal Revenue Code of 1954, as now or hereafter amended. In order to effectuate such intent, no part of the net earning of the organization shall inure to the benefit of any of its Directors, officers, members or any other individual; and the organization shall not participate, or intervene, in any political campaign on behalf of any candidate for public office. SECTION 3.1: Regular Members. Any farmers’ market operating in the State of Maine that meets the State’s legal definition of a farmers’ market is eligible for membership in MFFM. An eligible market shall be considered a voting member of MFFM upon receipt of a written statement expressing such market’s intent to become a member and establishing, to the best of its ability, an individual associated with the market as the primary point of contact on MFFM matters. Each member market shall be entitled to one vote on matters pending before an MFFM annual meeting or at other meetings at which market members are present and voting. Membership in MFFM shall be continuous until such a time, if any, that a member market provides written notice to MFFM that its membership is being terminated. SECTION 3.2: Sponsoring Member. 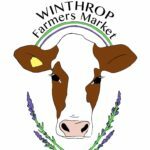 A Sponsoring Member is a person or organization other than a farmers’ market that pays annual dues as set by the MFFM and that supports the purpose of the MFFM. The Sponsoring Member shall not be a voting member of the MFFM or a member of the board, except as determined in Section 4.2. SECTION 3.3: Annual Meeting. An Annual Meeting of the membership shall be held once a year and be open to the public. SECTION 3.4: Special Meetings. Special Meetings of the membership may be called by a majority of the Board of Directors or by a majority of the membership. SECTION 3.5: Notice of Meetings. Written, printed, or email notice of every Annual Meeting and Special Meeting of the membership shall be sent to each member not less than thirty (30) days before such meeting. Such notice shall state the purpose, and the time and place of the meeting. No business shall be transacted at special meetings other than that referenced in the meeting notice. SECTION 3.6: Quorum. Business at an annual meeting will be conducted based on the approval of the majority of those present. SECTION 3.7: Dues. A voluntary payment system of pledges will be requested annually from member markets. Guidelines for such will be determined annually by a committee of members appointed by the Board and agreed upon by majority vote of member markets at each annual meeting. SECTION 4.1: Responsibilities. The Board shall be responsible for establishing all necessary goals, objectives, policies and procedures of the MFFM. It shall oversee the management of the business affairs of the Federation, including but not limited to, holding meetings, the preparation of the annual budget, strategic planning, a fundraising plan, receipt and expenditure of all funds made available to it in accordance with the contractual requirements of the funding source, and supervision and direction of activities of the executive director. SECTION 4.2: Number, Term, Qualification. The Board of Directors must be at least nine but not more than fifteen members, at least 51 percent of whom were participating vendors at a Maine farmers’ market at some time during the previous year. Each director shall serve a term of one year. SECTION 4.3: Election of Directors. Directors may form a committee to nominate prospective new board members. Nominations may also be submitted by members by written communication to the Board in the form of a letter to either the President or the Chair of the Nominations Committee. Prior to the annual meeting, the Nominations Committee will affirm the ability and desire of the stated individual to serve. Nominations will also be accepted from the floor at the Annual Meeting. All Directors shall be elected by a majority vote of the member representatives present at the Annual Meeting. SECTION 4.4: Board Meetings. The Board of Directors shall meet as deemed necessary by the Chair of the Board or as requested by a majority of Directors. Meetings may be conducted in person, by conference call and/or on-line. Board Meetings will be held no less than 3 times a year and shall be open to the public. SECTION 4.5: Quorum. A quorum shall consist of a majority of the current Board members. SECTION 4.6: Voting. All decisions shall be made by majority of those present, provided a quorum exists and except as otherwise provided by these bylaws. SECTION 4.7: Decisions not at physical meetings. The Board may adopt decision-making methods that do not require a physical meeting of its members, such as via email, video conferencing, or other method. For such decisions a quorum shall mean all available current members of the board and a majority shall mean a majority of the entire board. SECTION 4.8: Board Vacancies, Regional Representation. Vacancies on the board may be filled by appointment by the Board at any time to fill the remainder of a term. In order to achieve regional representation, the Board may appoint directors preferentially from under-represented areas of the State. All such appointments shall be subject to affirmation at the next Annual Meeting of the membership. SECTION 4.9: Removal of Directors. Directors may be removed from the Board for cause by a two-third vote of the entire Board, whenever in its judgment the best interests of the MFFM would be served. The vote will take place at a meeting, notice for which specifies that such removal was to be considered. All members shall be notified of the pending action 30 days in advance of the meeting. SECTION 4.10: Conflict of Interest. No part of the net earnings of the corporation shall inure to the benefit of any member of the corporation or other private individual except that the corporation shall be authorized and empowered to pay reasonable compensation for services rendered. None of the property of the corporation shall be distributed directly or indirectly to any member of the corporation except in fulfillment of its stated charitable and educational purposes. SECTION 5.1: Executive Committee. The Executive Committee shall consist of of the officers of the corporation. Hiring or firing the Executive Director. Actions taken by the Committee must be reported to the Board by written communication within fifteen (15) days succeeding the taking of such action. The designation and appointment of the Executive Committee and any delegation thereto of authority shall not operate to relieve the Board of Directors, or any individual Director, of any responsibility imposed upon them applicable to the Articles of Incorporation or these bylaws. SECTION 5.2: Other Committees. The Board may from time to time appoint such standing and ad–hoc committees as it deems advisable. Membership of these committees shall include Board members and other interested individuals. Power and responsibilities of such committees shall be determined by the Board. SECTION 5.3: Advisory Committee. An advisory committee may be established to support the purpose of the MFFM. It shall be comprised of individuals and agents invited by the Board to advise in a non-voting capacity. SECTION 5.4: Minutes. Committees shall keep minutes of their meetings and report all actions and recommendations to Board in advance of Board meetings. SECTION 6.1: Officers. The board shall elect officers of the MFFM to fill the following positions: Chair, Vice-Chair, Secretary, and Treasurer. The duties of any officer may be shared among more than one Board member subject to approval by a majority of the Board. Other officers may also be created from time to time by the Board of Directors. Chair. The Chair shall be the principal executive officer of the MFFM and shall supervise and control the business and affairs of the MFFM subject to the policies and procedures established by the Board. The chair serves as supervisor of MFFM executive director and conducts regular employee reviews. Vice-Chair. The Vice-Chair, in the event of the inability of the Chair to perform their duties, shall have all the duties and authority normally vested in the Chair of the MFFM. The Vice Chair may be designated by the Board from time to time as Co-Chair of the corporation. Secretary. The Secretary shall keep a record of all the meetings of the Board of Directors and membership, and shall receive and maintain files on the proceedings of committees. The Secretary shall hold all official documents of the MFFM and maintain the register of members. The minutes from each directors meeting and the annual meeting shall be reviewed and approved by the Board in a timely manner then shall be distributed to the membership within 30 days of the meeting. Treasurer. The Treasurer shall supervise the financial affairs of the MFFM, accounting for all the receipts and disbursements, sign together with the Chair any contracts executed on behalf of the MFFM and present a complete statement of the financial affairs of the MFFM at the annual meeting. SECTION 6.2: Election and Term of Office. Officers shall be elected annually by the Board at the first meeting of the Board after the Annual Meeting. Each officer shall hold office until the next Annual Meeting and until his or her successor shall have been elected unless the member dies, resigns or is removed. SECTION 6.3: Removal. Any officer elected or appointed by the Board may be removed from their position by a two-third vote of the Board, whenever in its judgment the best interests of the MFFM would be served. This will take place at a meeting, notice for which specified that such removal was to be considered and voted upon. SECTION 6.4: Vacancies. A vacancy in any office because of death, resignation, removal, disqualification or otherwise, may be filled by the Chair for the unexpired portion of the term. The MFFM shall have the power to obtain and maintain insurance on behalf of any person who is or was a Director, Officer, employee or agent of MFFM against liability asserted against him or her in order and incurred by him or her in any such capacity, or arising out of his or her status as such. These by-laws may be altered or amended by a two–third vote of the member representatives present at the Annual Meeting provided that notice of proposed change(s) has been provided to members at least 30 days prior to the proposed action. SECTION 1: Fiscal Year. The fiscal year of the association shall be the calendar year. SECTION 2: Authority to Solicit and Accept Funds. The corporation shall engage in raising funds as necessary to support the MFFM’s activities and programs including the organizational capacity to solicit, receive, administer and distribute funds or in-kind contributions in connection with any activities in which the corporation is the sponsor or a collaborative partner. All such funds and donations shall be expended in accordance with the contractual requirements of the funding source and in compliance with the rules set forth in Code Section 501(c)(3). In the event of dissolution of the Federation, subject to any restrictions on use or transfer that may exist, all assets remaining after all liabilities and obligations have been met, will be paid to one or more agriculturally-based not-for-profit organization(s) qualifying as exempt organizations described in Code Section 501(c)(3) , as determined by the Board of Directors. Adopted on (date) ___9-Mar-2012_____ by the MFFM Board of Directors.